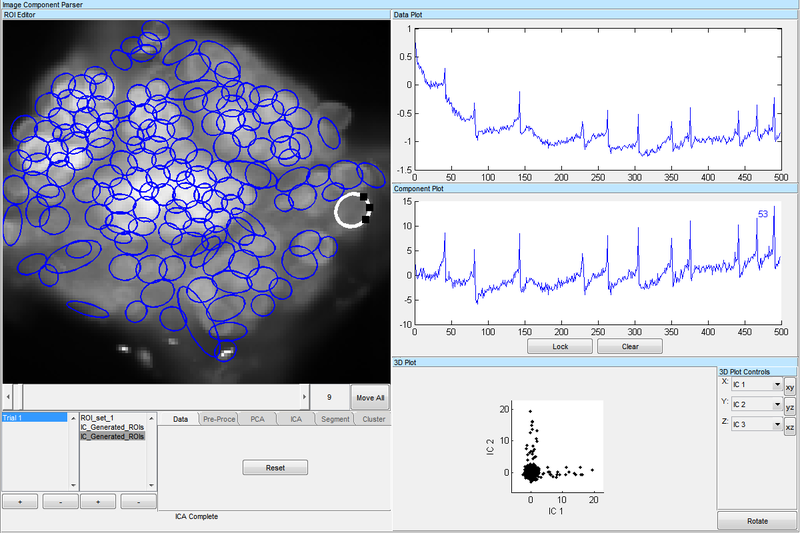 The Imaging Computational Microscope is a matlab gui for automated analysis of Calcium and Voltage-Sensitive Dye imaging data. Check out this post for an overview of the main functionality. 4. run install_icm.m in matlab. *Need Matlab version 2013a or later. The zip package includes all dependencies: ecc, FastICA_25, GUILayout-v1p13. At some point there will be a paper describing ICM, which you can reference if you use the software for analysis. For now just let me know if you use it, especially in a publication. This is a pre-alpha release of the Imaging Computatoinal Microscope GUI. Please contact me for feature suggestions or bugs.